Armenia and Georgia are two of the most fascinating countries to emerge from the collapse of the Soviet Union. 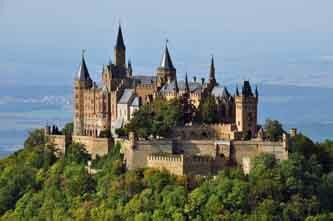 The two destinations historically predate some of the well-known European countries. Most recently in the news for the discovery of the world’s oldest wineries and earliest known leather shoes and clothing, both Armenia and Georgia offer a unique and challenging opportunity for students to discover one of the most strategically important and culturally diverse regions in the world. 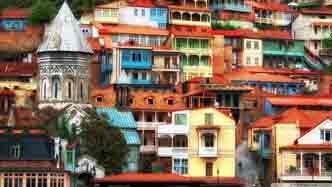 Armenia and Georgia offer a thriving artistic scene, cultures infused with history and some of the oldest Christian churches in existence, medieval and modern architecture, universities, and much more. Student will find a panoply of research opportunities ranging from international journalism to international relations to human rights and astrophysics. Germany, and its capital, Berlin, can teach us about living together and living responsibly. Not long ago a symbol of a divided Europe, Berlin is now the model of what the rest of Europe will be like in 20 years. It is the locus of art, culture, history, politics and ethnic diversity. Whatever your major or area of academic interest, you can pursue research in Germany: political science, languages, history, journalism, ecology, economics, agriculture, human rights, engineering or other areas of interest. Every SPANner receives a scholarship which can be used by the student toward the cost of the SPAN research program.